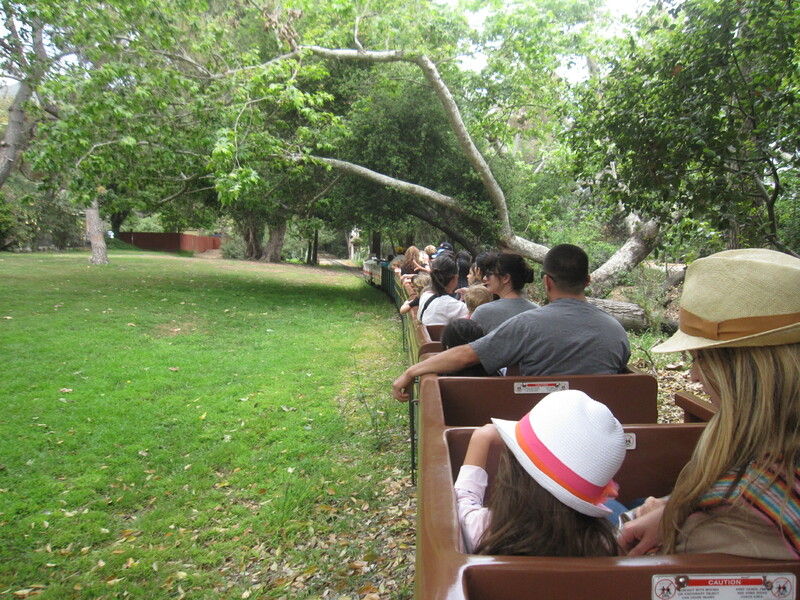 There’s basically nothing better than a Spring-day date with my kid to the Griffith Park train ride. OK, maybe one thing could improve it: having her take a nap afterwards so I had an hour to write about it. But she isn’t, and I don’t. Suffice it to say that, at times like that–chugging through the foliage on a 70-something degree day, happy child snuggled next to you, the smell of diesel fuel wafting not-unpleasantly from the engine ahead–Los Angeles doesn’t seem such a bad place to live. I like the idea of creating memories for her. Even if they’re faint. Even if they’re just the trace of a smell, the vague feeling of sun-on-skin, of a loving parent’s arms around her shoulder…this is most of what I have to give her. Oh, there are the snacks. Some sunscreen. Clothing and shelter. But mostly, my presence. And my hand in hers as we chug around the small, pleasant loop of her childhood. This entry was posted in childcare, Outings and tagged griffith park train ride, outings for kids los angeles, raising kids in los angeles, stay at home moms on April 4, 2013 by thumbstumbler. Thank you. I so appreciate your feedback.